Former US President Barack Obama and his wife Michelle are to be granted the Freedom of the City of Dublin. Dublin City Councillors voted to award the honor in recognition of Mr Obama’s “moderating and progressive” influence on the world stage. They also acknowledged Mrs Obama’s work for the education of girls around the world and on behalf of refugees. Lord Mayor Cllr Brendan Carr confirmed the couple had indicated through contacts their happiness to accept. A meeting will be held with US Embassy officials within days and a visit could be organised by the end of the year, he added. He also said the couple saw it as an opportunity for another visit. President Obama and his wife visited the Republic of Ireland in 2011 as part of a tour of Europe. 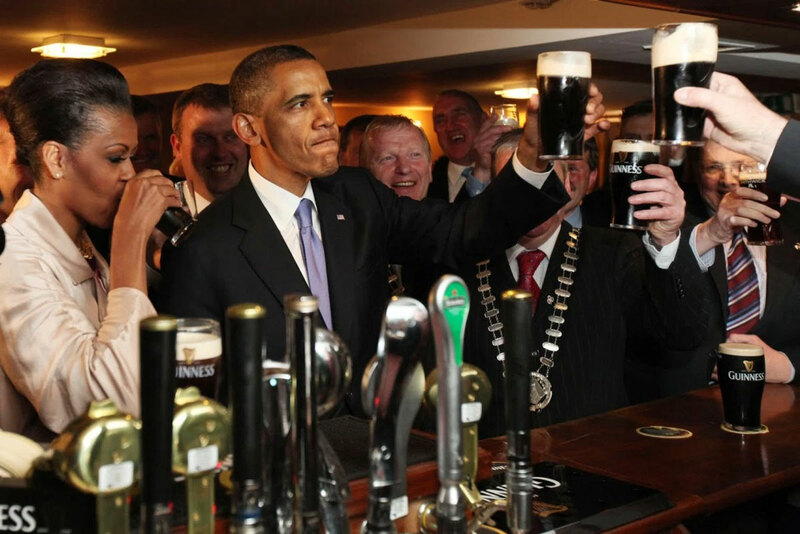 During their stay, the Obamas went to Moneygall, a small village in County Offaly which was home to one of President Obama’s ancestors who emigrated to the US in 1850. The motion to grant the honor was carried by 30 votes in favor with 23 against. Cllr Carr, who proposed the motion, told Councillors there was precedent for a couple receiving the honor as it was granted to the Crown Prince and Princess of Japan in 1985 for their diplomatic activities. He said Mr Obama had regretted some US actions in the Middle East and the honor was not a “canonization” of the couple. Other international figures to receive the honor include former US President Bill Clinton, former South African President Nelson Mandela and Burmese pro-democracy leader Aung San Suu Kyi.